organic materials such as micro-organisms and odours, killing the organisms and breaking up the odours into non-tainting particles. This system has been independently scientifically tested and proven to destroy pathogens and retard bacterial growth. 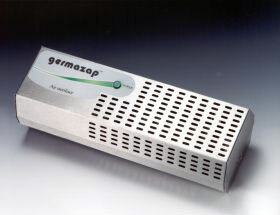 The Germazap can be located on the wall of a kitchen, storage or food preparation area to continuously sterilise the air and surfaces in the vicinity. It is also ideal for cold-rooms to prolong life of food substances and stop food tainting. 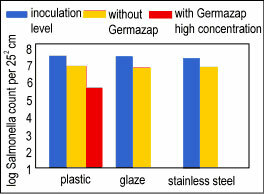 "The Germazap has a beneficial effect on bacteria associated with spoilage of fresh meat"
"The Germazap exerts either a microbiocidal or a microbiostatic action on micro-organisms"
surfaces. Extracts of their findings are shown. Click on the graphs to the left for full information. 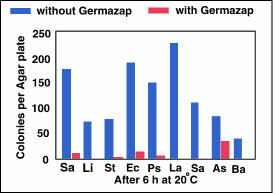 Germazap decreased colony counts of Staph.A. by 100% or more. days were lower by 2 to 2.5 log cycles. 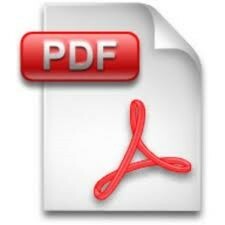 on the storage life of fresh carcass beef by retarding bacteria growth. bacteria associated with spoilage of fresh meat. meat due to the retarding effect on bacterial growth. by a factor of about 4 to almost 50 for bacteria, and by a factor of 2 for mould spores. 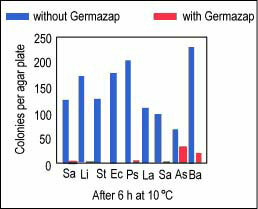 Germazap has a micro-biocidal effect on a wide range of micro-organisms. organisms innoculated on smooth surfaces of materials commonly in practice. organisms may be prevented from developing on surfaces and equipment. carry-over between products might thus be prevented. development of a pronounced meaty odour in the control chill.